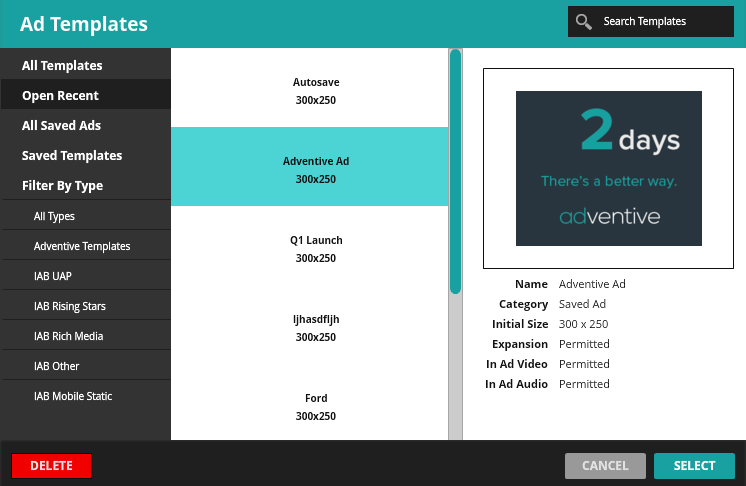 I'm excited to write that we just released a new UI for our ad builder. Purposely clean and unobtrusive. We didn't just add features recklessly. Instead, we focus on the features that our users need. Here are some highlights and screen caps for your viewing pleasure - Your canvas, ready for you to build some awesome ads. 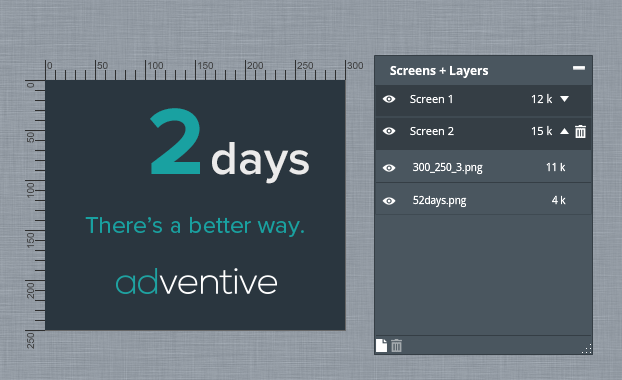 One of my favorites is the Screens + Layers window. Easily access assets and check size. Just click and drag assets to change the order, or drag them to another screen. All the IAB standard template goodness is baked right in. An awesome feature is being able to see all my recent ads at a glance. A nice screen cap of the ad is automatically generated and available to preview before even opening the ad. 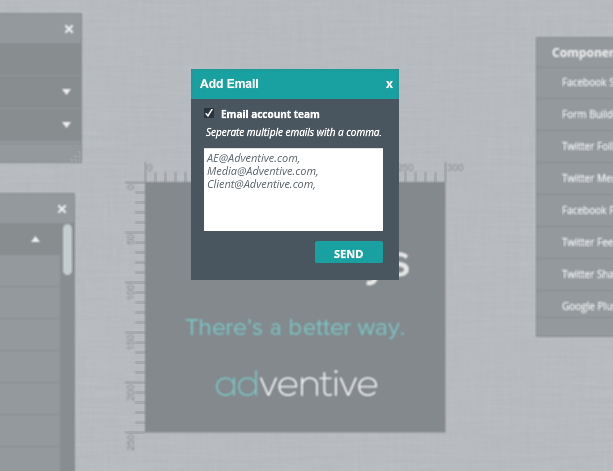 Skip outlook and email your AE's, Media and Account team right within the builder. This release also includes performance enhancements for blazing fast edits. As always, if you have any questions, get in touch.